College of Agriculture, University of Sargodha, Sargodha 40100, Pakistan. Okra (Abelmoschus esculentus L.) is an important tropical vegetable of many African and Asian countries including Pakistan. Infestation of okra crop by lepidopterous borers, Earias vittella and Helicoverpa armigera (Noctuidae: Lepidoptera), has been one of the contemporary issues of the farmers in Afro-Asian regions. 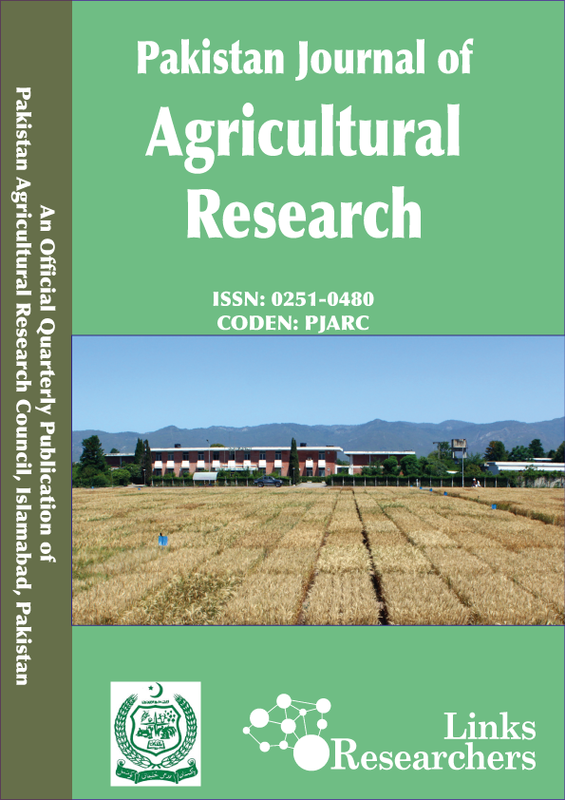 This two-year field study was carried out to evaluate an IPM (bio-intensive) module developed by selecting through in-situ evaluation and incorporating the most effective pest control options along with the biological (parasitoid Trichogramma chilonis egg cards) and cultural techniques against okra lepidopterous borers. According to results, maximum shoot and fruit infestations (i.e. 19.86 and 15.63%, respectively) by okra borers were recorded in control (unsprayed) module, while minimum (i.e. 6.76 and 2.89%, respectively) were found in IPM module. Mean shoot and fruit infestations in farmers’ routine module were 13.91 and 10.83%, respectively during 2016. Similarly, in 2017, mean shoot and fruit infestations in IPM module, farmers’ routine module and control module were 7.62, 14.19 and 19.52%, and 4.58, 11.07 and 18.16%, respectively. Likewise, 1.33 and 2.75 fold higher yields of marketable okra fruits were recorded for IPM module respectively than farmer’s routine module and control module. Based on the overall study findings, we recommend IPM module to the indigenous okra growers to combat infestations of E. vittella and H. armigera and other lepidopterous borers.